Zone 6. Parrot Feather. 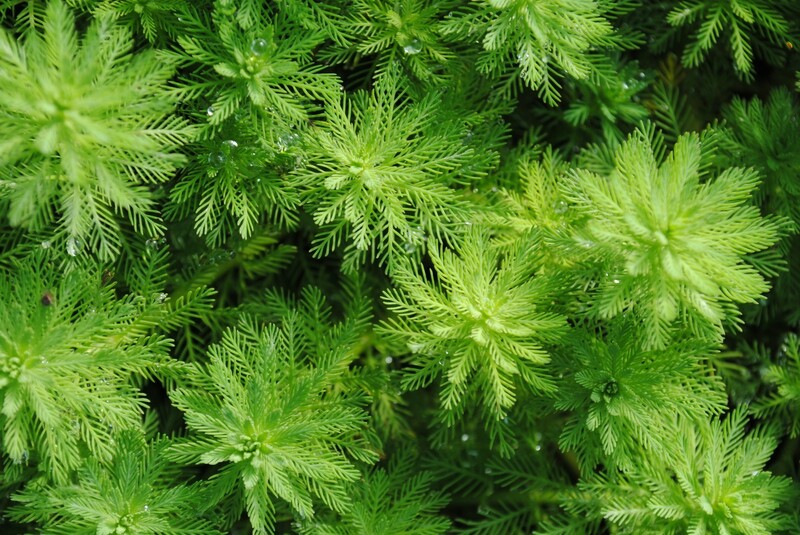 Feathery medium-green foliage grows above and below the surface. Softens the hard edge of the pond. Spreading habit makes this excellent for new ponds. 6" tall.